Thanks To Our Readers! - Writer's Relief, Inc. In our last article we’d initially included a much-repeated quote about the number of rejections Gone With The Wind received. A couple of our readers pointed out that Mitchell was not in fact a much rejected author (lucky her!). 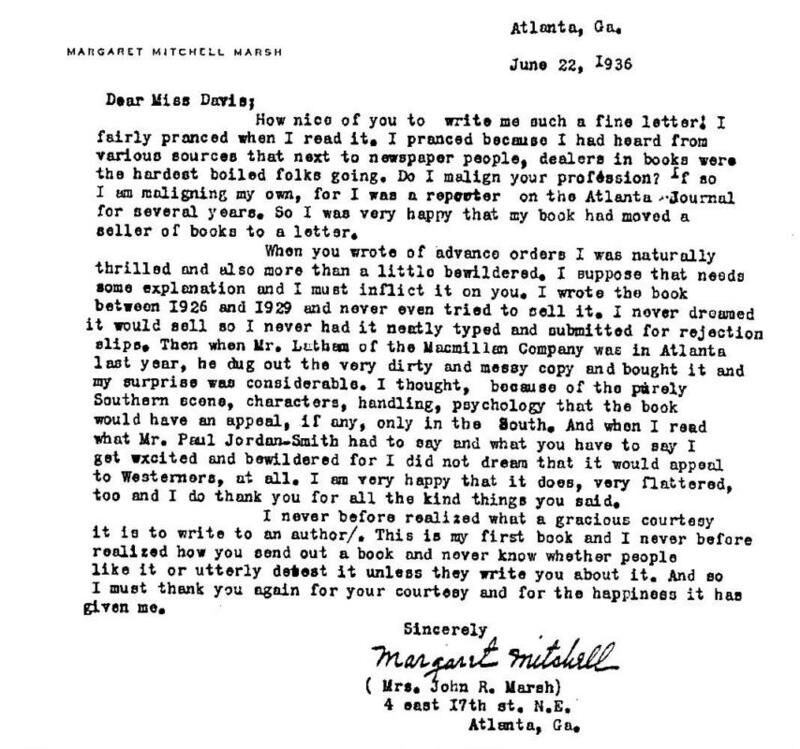 Thanks especially to Shelley for sending us a link to this letter (presumed authentic) from Margaret Mitchell. Take a look! Despite our research for the article, we fell victim to bad information. Thanks again to our readers for their kindness in sharing their knowledge! We love you guys!